Michael Jackson’s kids released a photo on Twitter of them all together and people can’t get enough of it. 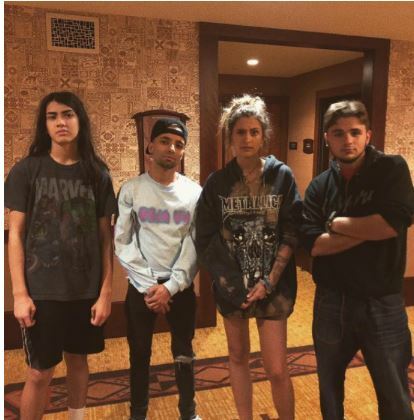 In the photo, from left to right is Blanket, Omer, Paris and Michael Jr. People know only Blanket, Paris, and Michael Jr as the children Michael Jackson has but there are reports Michael’s father has said Omer is Michael’s son. Omer Bhatti is a dancer and choreographer from Norway. He has been close to the Jackson family since he was a kid and he even attended Michael’s funeral back in 2009. After the photo was shared on Twitter, people began referring to it as #BlackExcellence. Some people have, however, objected to it, saying they have no black blood in them.